← Mystery Photo Friday – And the Winner Is…. Norton, have you seen Ralph, Trixie and Alice? Every 5th grader in the state knows the answer to that one – “a stick.” Okay, here’s a more mature question. My answer, “not much.” At least that’s how I felt at the conclusion of our tour of the Metropolitan Waste-Water Treatment Plant (Metro) located just southeast of St. Paul and abutting Pig’s Eye Lake. Pig’s Eye, the more colloquial name for the facility seems a more spirited moniker for the place that deals with the mess that the metro-area population dishes up each and every day. It reminds me of when the county changed the name of our old street from Grubb Road to 21345678th, all in the name of progress/image. That aside, I was surprised to find how much fun it was to follow knowledgeable, dedicated, and humorous staff around their home turf and find out just how they do it – that is take our water, “poop” and whatever else we flush down the toilet or send down our drains and produce a final effluent that’s far cleaner than the river it’s going into. 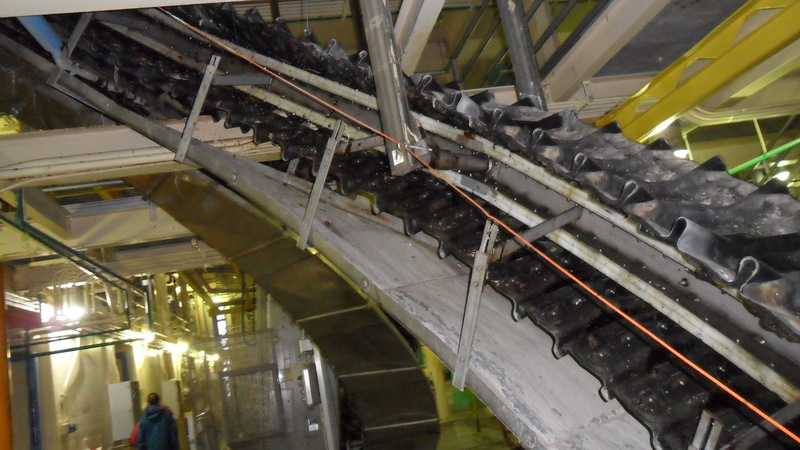 Conveyor belt removing large solids (trash, rags, bottles, other). Leave you nose-plugs at home. and released under the field of rock/gravel/chips/some other stuff I can’t remember/ and as it makes its way back to the surface is cleaned of 95% of the contamination responsible for the toxicity and “smell” of human waste. 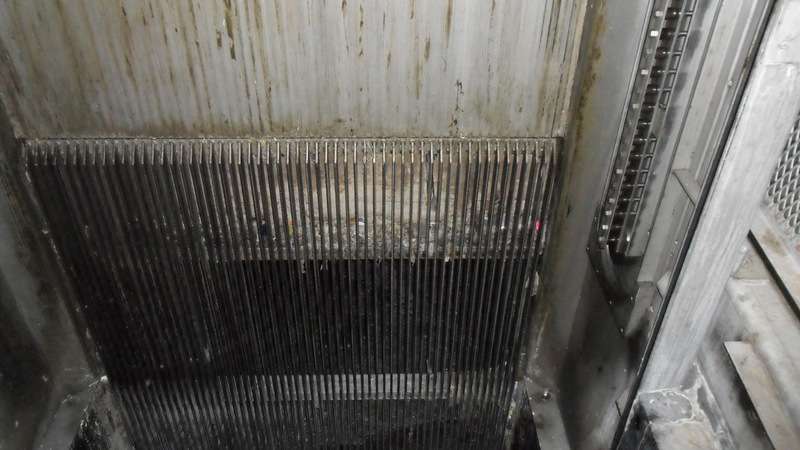 Bacteria in the bio-filter are doing all the heavy lifting. All I smelled was the pleasant aroma of wood chips. 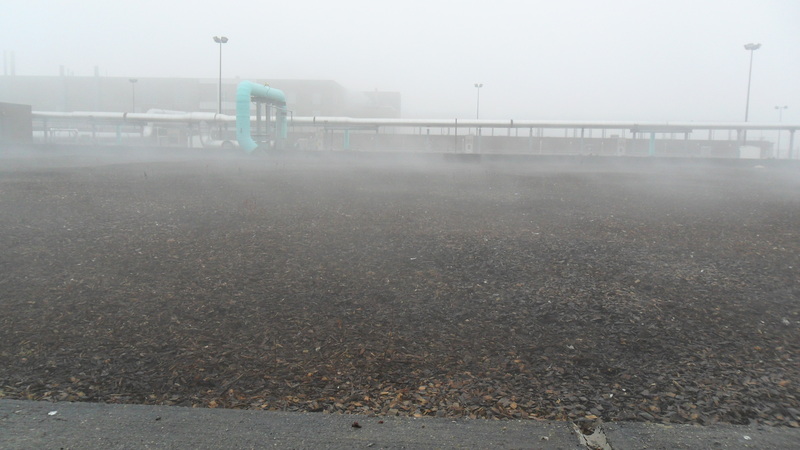 Community complaints about odor from the plant have dropped to near zero. Now, before I veer off to the subject of contaminated stormwater, if you want to be able to sprinkle any upcoming party conversations with terms like, “Aerated grit chambers,” “primary clarifiers,” “anaerobic,” or my favorite, “dissolved air flotation thickeners,” don’t miss the two movies at the end of the post. There, you can complete your tour of Pig’s Eye where the process is better explained than I can do here. drains we see in the road. That water makes its way to river through a separate system of pipes and sewers. 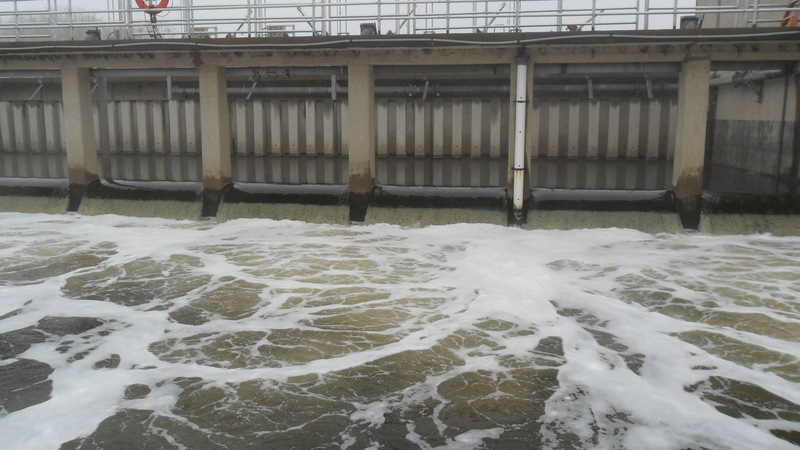 The first bit is treated, the surface waste water is not. The decision to separate the two was made a few decades ago – and cost figures in to a large extent. Those kinds of decisions aren’t made at the plant level, it’s a metro and state debate. It’s expensive to capture and treat surface runoff mainly because there’s a lot of it and to do so requires another infrastructure with huge tanks to store and treat the water before releasing it to the river. It can be done, it is being done, (Chicago metro and others do this) but the price tag is high. 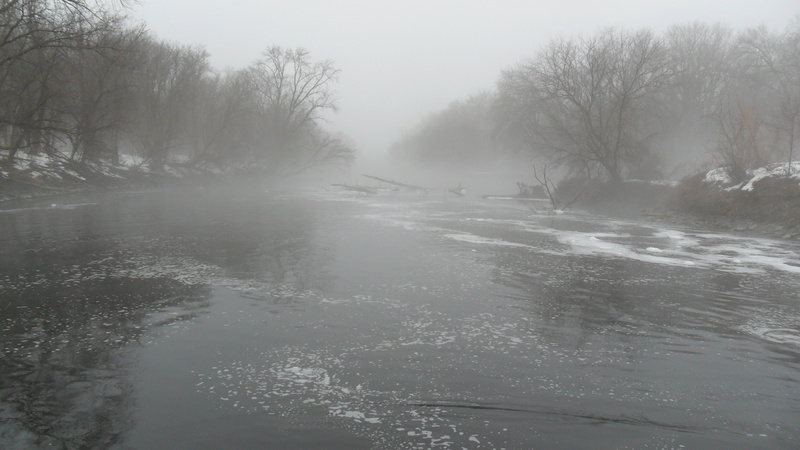 Would we have cleaner rivers, streams and oceans if we did our part to clean stormwater in the St. Paul metro? Of course, but at what cost? Should we do it? Would citizens be willing to pay? Then again ,what’s the cost of not treating the run-off? For a moment, picture the Exxon Valdez impaled on Bligh Island Reef back in 1989 and gushing oil into Prince William Sound. A recent National Academy of Sciences study estimates that the oil running off our streets and driveways and that ultimately makes its way through our rivers to our oceans is equal to an Exxon Valdez oil spill–10.9 million gallons–every eight months. morning tour. Since 1938, the folks who operate Pig’s Eye (Metro) have tended to our most basic need – clean water. A salute to Christine and Laura (engineers and guides for the day) and the rest of the staff. 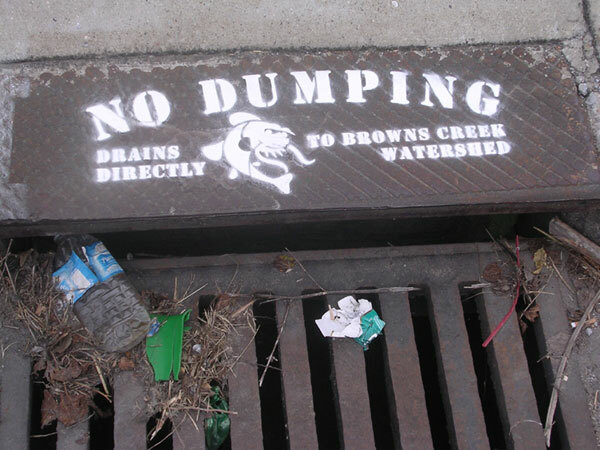 Is it time start thinking more about putting tax dollars to work on cleaning our stormwater and more importantly, changing behaviors wedded to our individual and national addiction to petroleum? Here’s the log in my eye. We have two cars in the garage and the monkey on our back as well. 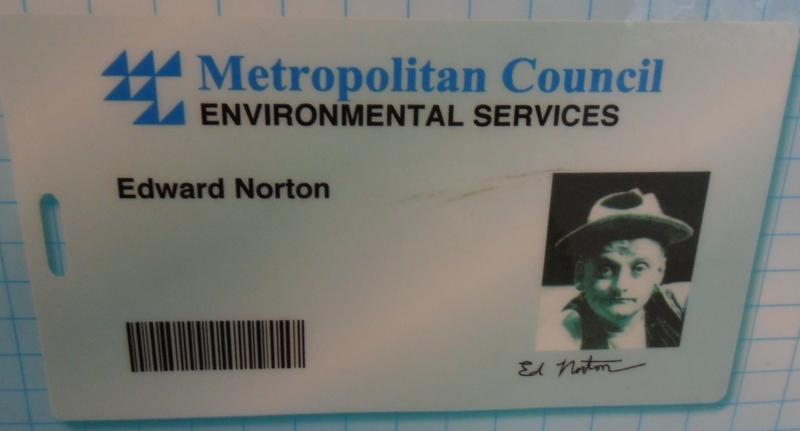 This entry was posted in Mississippi River, Music and Video and tagged groundwater contamination, Metro, Mississippi, pig's Eye, runoff, wste management. Bookmark the permalink. Absolutely. We’d all have to learn a few new tricks, me included. Is that a Glidden Creation Chris is wearing atop her head? Yes! My wardrobe (hat) provided by Shawn Glidden.